Even though the Lake Minnetonka tax season has come and gone for most filers, “extension season” is here until October 17th. If you’re a homeowner and you filed an extension back in April, you’ll want to make sure you take advantage of some important Lake Minnetonka tax deductions that can reduce your income tax liability when you file your returns. Mortgage interest, real estate property taxes and mortgage insurance premiums (if applicable) are all deductible. Added together, these items can amount to a significant savings on your tax bill. 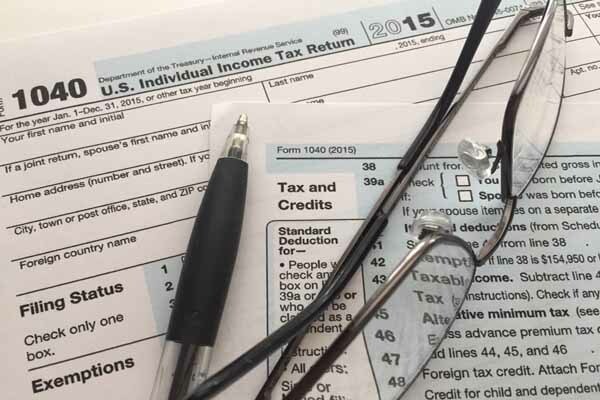 Be prepared to include these deductions on your income tax returns. After all, tax advantages are among the major perks of home ownership. Let’s examine four Lake Minnetonka tax deductions you should definitely take advantage of. Your monthly mortgage payments include principal and interest. The interest is the amount you can deduct at the end of the year on you income tax returns. Federal regulations allow a homeowner to deduct the interest amount (up to $1 million if you’re filing jointly, or $500,000 if you’re single or married and filing separately) on a primary residence. Since the amount of interest you pay each year on your home mortgage is likely one of the largest deductions you can take on your tax bill, it’s important to know a few “ins and outs.” The mortgage interest deduction is available for interest paid on home purchases, refinances, home equity lines of credit (HELOCs) or second mortgages for any purpose. The amount of interest deductible as a result of home equity debt only applies to loan amounts up to $100,000 ($50,000 if you’re single or married and filing returns separately.) As you can imagine, the interest deduction can total several thousand dollars and can make a big impact on the amount you owe when you file your returns. Remember, it’s important to itemize your deductions accurately. Mortgage lenders are required to send you an annual statement showing how much interest you paid during the year. If you paid “points” on your mortgage loan when you obtained financing you may be able to deduct them, as well. Points are percentage points of the loan amount and occur in one of two ways: discount points, which are paid by the borrower to enable him to prepay a portion of the mortgage loan interest to “buy down” the interest rate and the loan origination fee. As the name implies, a point is the equivalent to 1% of the mortgage loan amount. Often, homeowners forget about this all-important deduction. Overlooking points can be an expensive mistake. For example, if you borrowed $350,000 and paid an origination fee of 1%, the deduction of $3,500 could go directly to reducing your tax liability. Another of the Lake Minnetonka tax deductions you’ll want to make sure you include are the property taxes on your home. Real estate taxes are deductible on primary residences and can be deducted in the year in which they are paid. The property assessor’s office in the county where your home is located usually mails a statement that includes the amount of your real estate property taxes due. However, keep this in mind – if you purchased a home during the year the property taxes were likely pro-rated on the closing statement. The sellers were reimbursed for the portion of the taxes they “paid” up until the date of settlement. As the buyer, you can then deduct the entire amount of the real estate taxes – not just the amount you were responsible for in the pro-ration. When you purchased your home and obtained mortgage, if you made a down payment of less than 20% – or if your loan-to-value (LTV) ratio was less than 80% – you’re probably paying mortgage insurance to the lender each month as part of your payment. Mortgage insurance is a type of coverage that protects the lender against the borrower defaulting on the mortgage payments. Currently, mortgage insurance premiums are deductible for policies provided by the Federal Housing Administration (FHA), the Department of Veterans Affairs (VA), and the Rural Housing Service – in addition to policies provided by private mortgage insurance companies on most conventional home loans. While the list of Lake Minnetonka tax deductions can be quite a tax savings for homeowners, everything related to home ownership isn’t necessarily part of that list. Let’s look at a few items that aren't deductible. Be sure costs for these items don’t make their way onto your personal income tax returns unless you are running a business from your home, in which case, many of the rules change! • Loan closing costs. Points are the only exception. • Most home improvements – unless they were financed as part of your home’s equity, or you own a home-based business and claim part of your home on your taxes. In summary, home ownership has always provided tax advantages. It’s one of the attractive features of buying and owning a home. The deductions are part of a federal government incentive for Americans to own their own homes. Remember this, however, if your list of itemized deductions doesn't exceed the standard allowable deduction for which you’re eligible, then you should claim the standard deduction. As always, if you have questions about your income taxes, what’s deductible and what’s not – it’s always best to consult a professional tax advisor. Deductions are important, and you certainly want to make sure you take advantage of every opportunity to save money on your taxes. You can find more articles pertaining to Lake Minnetonka tax deductions in the Taxes section of our site below Lake Minnetonka Real Estate Categories in the column to your right.